After the completion of the Parkinsonian cohort, the MAMEM team moved to Athens to continue the data acquisition process with the cohort of neuromuscular disorders. Members of CERTH team alongside with MDA Hellas associates captured the synchronised signals of 12 subjects undergoing the same experimental protocol. Participants were really motivated, eager to help, happy to provide meaningful feedback and reported the whole process as particularly interesting and challenging. 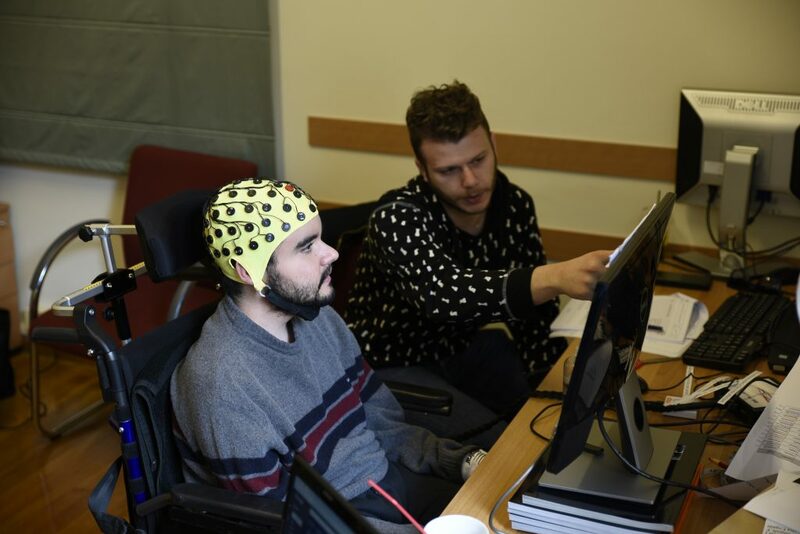 Especially the subjects suffering from neuromuscular disorders were enthusiastic about the possibility to operate their computer by using their eyes and mind. The MAMEM team is now ready to process all the acquired data through Phase I, taking into consideration the provided feedback and the problems that aroused during the experiments, aiming in the system’s improvement and making it even more user-friendly.